Yesterday Han and I landed in Charlotte, North-Carolina. For me the plan is to visit the Aloa 2007 exhibition while Han is having a booth there. I have already seen lots of familiar faces and had quite some interesting conversations. If there are nice new tools or other novelties I will make sure to report back here. 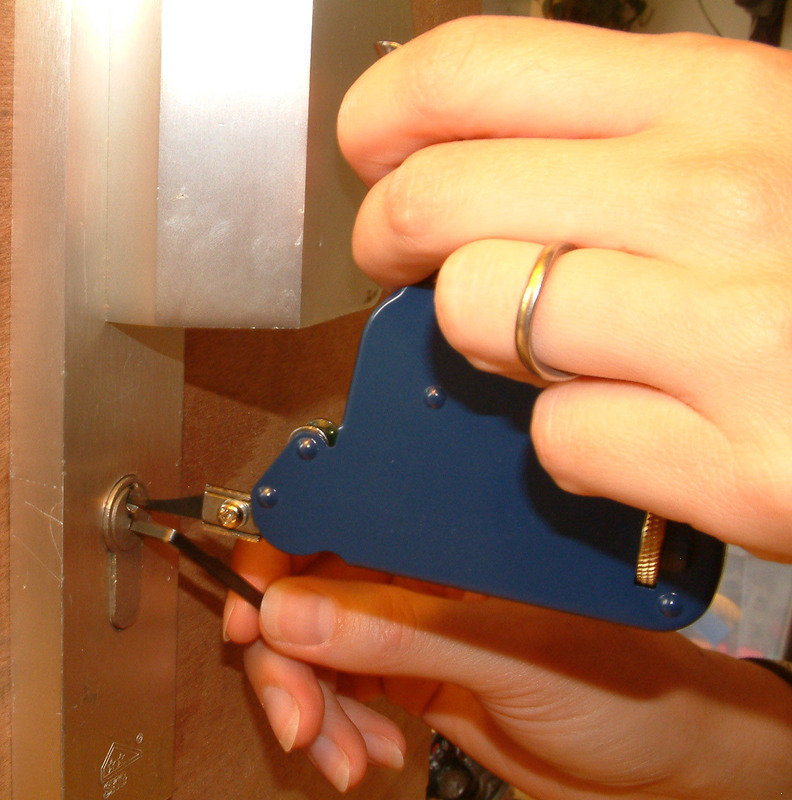 It took the lock-tool industry a couple of years to copy German Ssdev member Kurt Zuhlke’s invention. Kurt developed the reversible pick gun. His invention was mentioned in the bumpkey whitepaper we published at the beginning of 2005, and I have had many requests ever since from european locksmiths that wanted one. 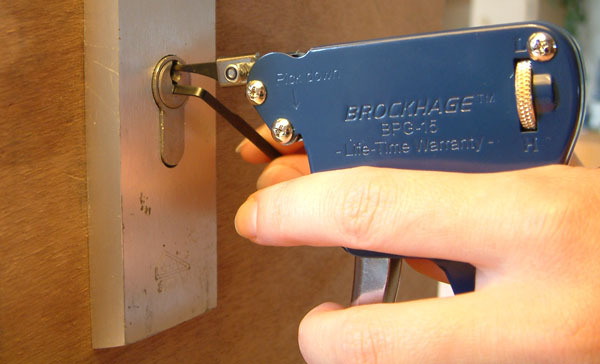 The reason for that is so far all pick guns on the market were targeted to US locksmiths. 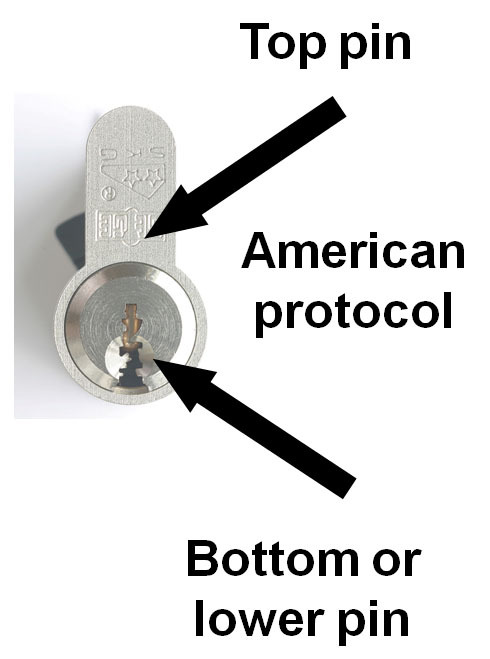 In the US locks are mounted pins upward in the door while in europe it is the other way around and they are pointing downward. The problem most european locksmiths have is that if they want to use a pickgun on a door, the handle of the door is in the way. That is because with a US model pickgun you have to keep the gun upside down to be able to use it. 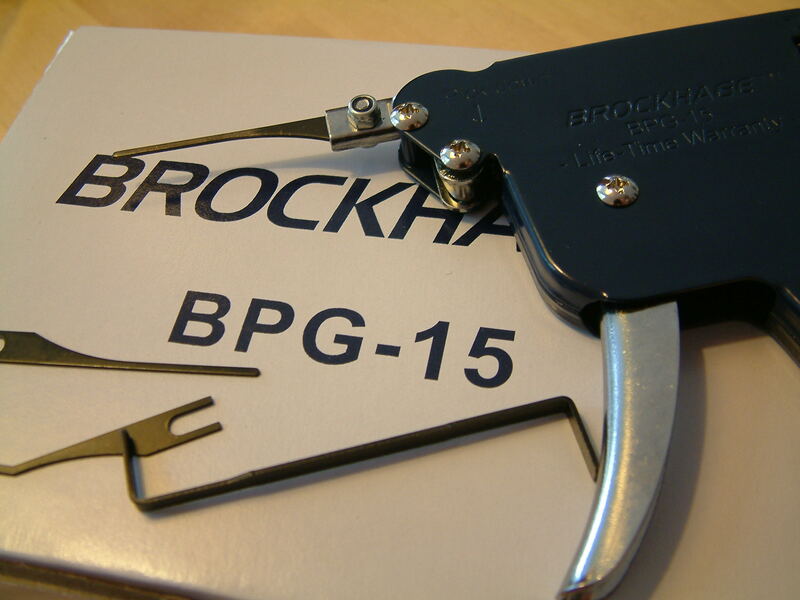 Brockhage has created a pickgun especially designed for the european market. And it works! At home I managed to shoot open a nice range of locks, all in the upside down position. * update 08/2007 There is some discussion about how well this gun actually works. Some German lockpickers (who’s comments I respect highly) do not like the gun and it’s design at all. They called it names I will not repeat as this site. On the other hand, two locksmiths who open doors on a daily basis have reported they do use with success when their conventional pickgun can’t make the angle. Entries (RSS) and Comments (RSS). 43 queries. 0.854 seconds.